Stunning Sail and Motor Superyachts will soon come together to meet at the Asia Superyacht Rendezvous 16th annual elite yet relaxed gathering of owners, captains and crew December 16-18. ASR 2016 Co-Sponsor Benetti Yachts, along with Asia Pacific Superyachts, "Host Hotel" SALA Resort Phuket, Lux Media Group and a range of high-end sponsors and global & national media partners, join organisers in announcing the friendly but highly competitive superyacht races will for the first time crown the overall ASR Race Winner with a "Trophy Cup" award. As well, for the first time yachts interested in pleasure cruising (rather than racing) during the races can sign on now to join the two days of ASR racing Dec. 17th and 18th. Pleasure sail/motor yachts (75’ and longer) can email gordon@asia-superyacht-rendezvous.com to receive an invitation to join the event. 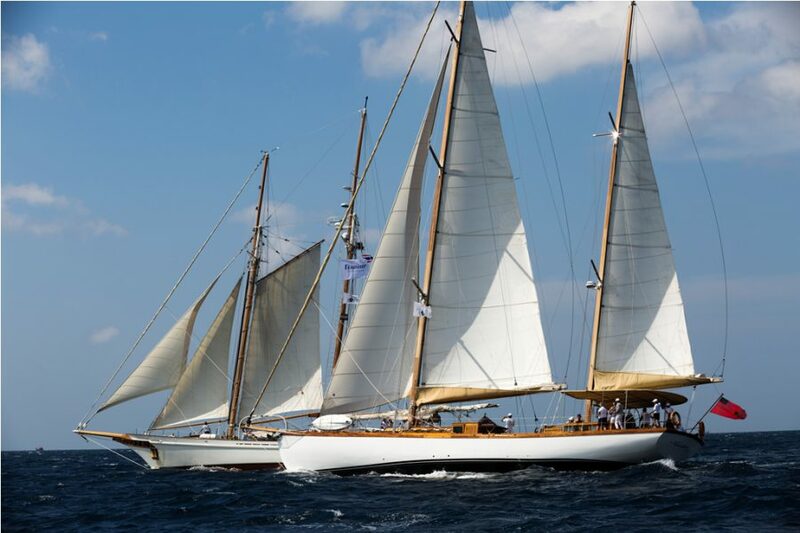 Among the ASR 2016 participating yachts is the stunning schooner, Dallinghoo. This full-keel topsail gaff-rigged beauty combines the classic design and romantic feel of a tall ship with all the comforts of a modern yacht. Dallinghoo will be sailing around the course over race days, taking VIP guests on board to view the sailing races both days. The racing superyachts will be accompanied by motor & pleasure boats with gorgeous motor superyachts anchored around the course. Gordon Fernandes and co-organiser Captain Charlie Dwyer, in announcing the new "Asia Superyacht Rendezvous Cup Award" and race criteria, note, "It is a privilege for us to be affiliated with an international superyacht sailing regatta that attracts some of the world's top performing sailors during the Asia Superyacht Rendezvous, held at Asia’s superyacht hub of Phuket Island." The prestigious event kicks off Dec. 16th with an "Opening Cocktail Party" for owners and captains aboard the beautiful phinisi-style Dunia Baru before the next day’s opening race. The historic two days of racing will culminate with the awarding of a first-time "ASR Race Winner Cup" ceremony at the closing VIP Gala Dinner. The 16-18 December elite gathering on and off water takes place in the pristine tropical setting of the stunning and SALA Resort & Spa Phuket, outstandingly situated at Mai Khao Beach. When combined with Nai Yang Beach to the south, the location is the longest stretch of sandy beach on the island, covering 9 km. Asia Superyacht Rendezvous generates a lot of excitement and boosts Phuket as a superyacht destination - an appeal well stated by those attending last year (2015), such as Captain Sheltrum of the S/Y Bliss – "Together, I and the Bliss crew had a wonderful time at the Asia Superyacht Rendezvous. It was well organized on a beautiful island, loads of fun and to top it off we got some great sailing in. With or without guests on board I highly recommend the Asia Superyacht Rendezvous to any superyacht, I guarantee you will have a fantastic time." The amazing line-up of sponsors and media partners are recognised for their active support, notes Gordon Fernandes, " Sponsorship of a successful world class superyacht social and racing event is one of the best branding investments a corporation can make as it reflects the status and credibility of the company", adding: "Our sponsors join in our belief this year's event will be even better and we are expecting thrilling races from the some of the world’s finest superyachts and best sailors".